Hands are cleansed with Depileve's Dermo Spray and then exfoliated using a choice of Depileve's gentle, natural exfoliaters to remove impurities and dead cells, maximising the benefits of the treatment. The Collagen Elastin Plus, a luscious, non-greasy emulsion enriched with Collagen and Elastin to deeply moisturise and regenerate, is then applied with a relaxing massage. The hands are then dipped into the Depileve paraffin wax bath 5 times until the wax takes on the look of a glove. Then the hands are placed in toweling mitts while you relax for 15 minutes. It's during this relaxation stage that your muscles really begin to release tension they may be holding and the skin on the hands become rehydrated. The paraffin is then removed and disposed of, and the treatment is finished with the application of a choice of Depileve's Hand Creams, to continue the moisturising effects of the treatment and to help maintain your skin's natural protective barrier. When the treatment is over your hands will feel silky, smooth and soft, and you will notice a revitalised skin tone and deeply relaxed muscles. 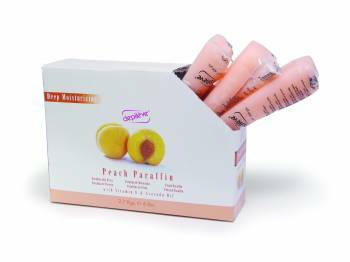 Peach Paraffin, a delicate peach scented paraffin that replenishes the skins optimum moisturising levels for long lasting hydration thanks to Vitamin E and peach oil. Formulated with Avocado Oil and Monoi Oil of Tahiti to improve the elasitcity and smoothness of the skin. 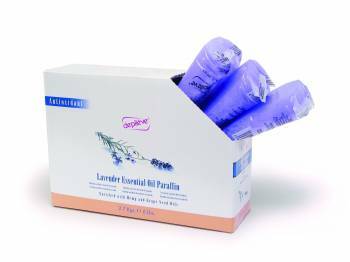 Lavendar Essential Oil Paraffin, an anti-oxidant formula enriched with hemp and grape seed oils. This paraffin is rich in anti-oxidant agents that protect the skin from the damaging effects of external factors. The lavendar essential oil's relaxing properties soothe the hands leaving a delicate scent. Milk and Honey Paraffin, enriched with milk peptides has a relaxing arome and a surprising texture. Their regenerative, soft and protective effects have an immediate action on the skin. A treatment worthy of queens! The foot treatment is much the same as the hand treatment with feet cleansed and exfoliated and then dipped into a warm wax bath until the wax takes on the look of a sock. Then the feet are placed in booties while you relax. It's during this relaxation stage that your feet really begin to release tension they may be holding and the skin on the feet become rehydrated. When the treatment is over your feet will feel revived and soft. As with the hand treatment, you will notice a revitalized color and deep relaxation. Tea Tree Oil Paraffin, the great energizing and stimulating powers provided by Ginger and Thyme essential oil makes this ideal for foot treatments. Tea Tree Oil is known for its antiseptic properties and protects the skin while leaving your feet feel refreshed. The face is cleansed and then light moisturising cream is massaged into the skin. Two layers of warm Paraffin wax is applied to the skin using a brush. A gauze facial mask is applied to the skin and a third and fourth layer of wax is applied to this. The mask sits on the skin for up to 15 minutes and works its wonders while you experience deep relaxation. This facial promotes skin repair and increases hydration to give your face a natural glow. The wax also helps to increase circulation and stimulate the production of new, healthy skin. Depileve Milk and Honey Facial Paraffin, This paraffin, enriched with milk peptides and Vitamin E, offers the ultimate in luxury.The soft scents of the milk and honey will allow your client to relax and feel the maximum benefits of the treatment. 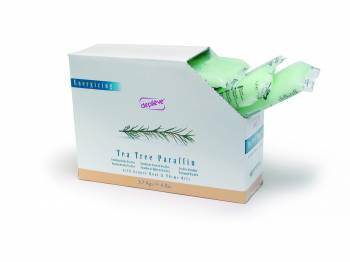 Paraffin wax is applied to the affected area to soothe away aches and pains. Please see our Medical Benefits page for details on how this works.